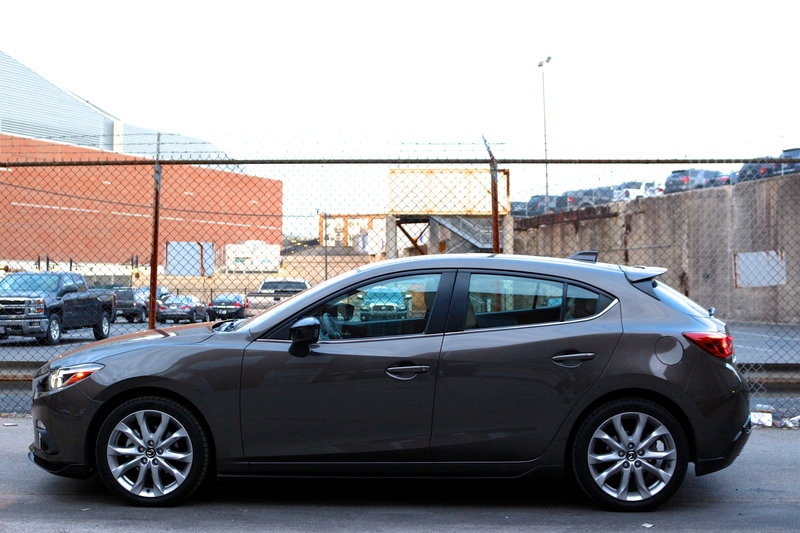 We spent a week with the Mazda 3 hatchback (or 5 door, as it’s advertised by Mazda), and that’s exactly how I felt at the end of our test — it succeeds at playing different roles rather well. The combination of good mpg, plentiful cargo, and striking looks, is able to retain loyal customers, as well as convert new ones. Has it ever happened to you that as soon as you buy, or gain interest on a particular car, you start seeing more of them? That happened while driving the 3, and I was happy to notice everything from grandparents to high schoolers driving this agile and capable little hatch. And I believe we figured out why. Think about it, its got the same number of doors as a sedan, almost as much cargo room as a crossover/SUV, and nearly the performance of a sports car. What more could you want? Some of the features we love the most were the navigation system, and the interior design. Mazda’s nav system features a 7-inch screen, which primarily relies on a control knob for operation, but also doubles as a touchscreen — so you get the best of both worlds. Although I found the control knob, volume button and shortcut cluster to be the highlight of the Mazda 3’s interior, as it literally puts all the controls at your finger tips. As a Grand-Touring model, our test car was fitted with beautiful almond leather seats, which are also perforated. Missi and I loved the seats and found them to be very comfortable and supportive, without being over-bolstered. The rear seats offered simple access to the LATCH system, and provided ample leg and head room for our kids, as well as adults. 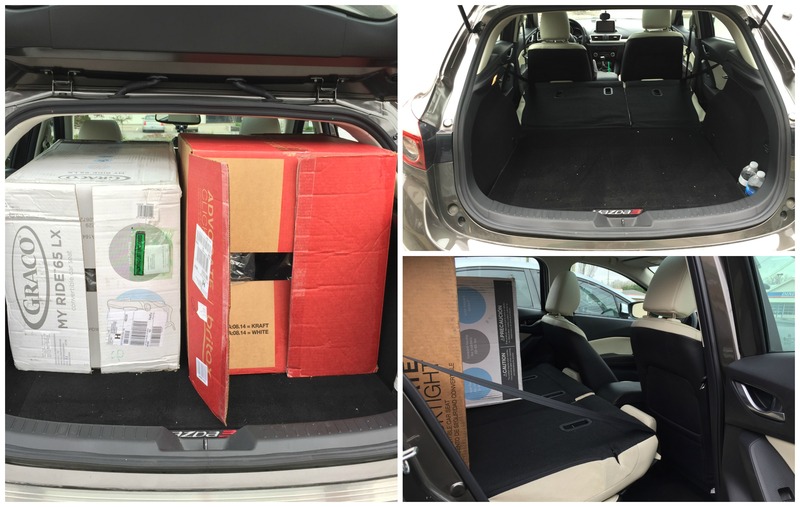 Cargo room is plentiful for every day needs, while folding the rear seats allows you to almost double your cargo capacity. 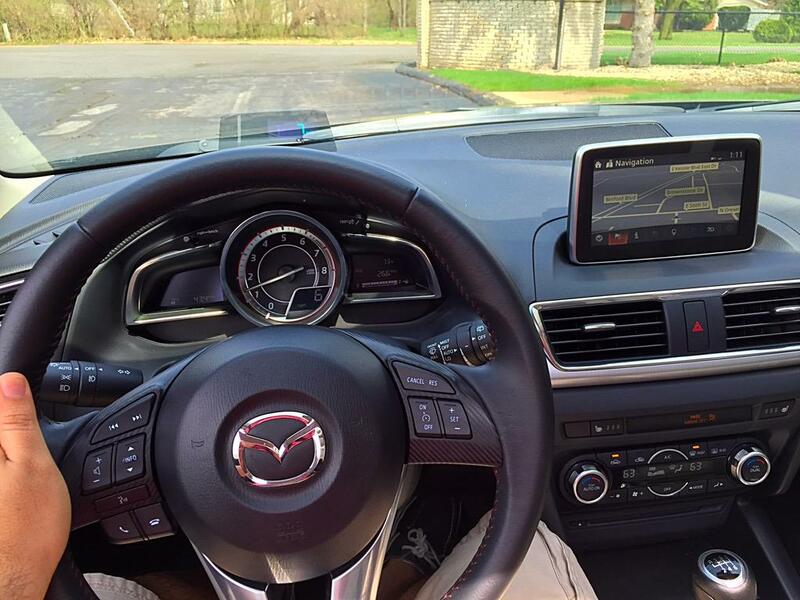 There are a lot of mixed opinions when it comes to the driving dynamics and performance of the Mazda 3. Some say it’s quick and nimble, but the ride is a bit stiff. Some say it lacks power and handling composure. And while I can only speak for the particular car I drove, I feel like the 3 is well balanced to offer an engaging driving experience to a broad range of buyers. With the optional 184-hp 2.5 -liter engine, paired to a 6-speed manual transmission, it certainly looks capable on paper. Although for my own taste, it feels a bit tame. The suspension was bang on for how the car is engineered to perform, not too stiff, but not too soft. Acceleration is on par as well, as it allows you to take off in a hurry, but it’s not overly quick that the driver may feel overwhelmed. The brakes do their job, but pedal feel is questionable. 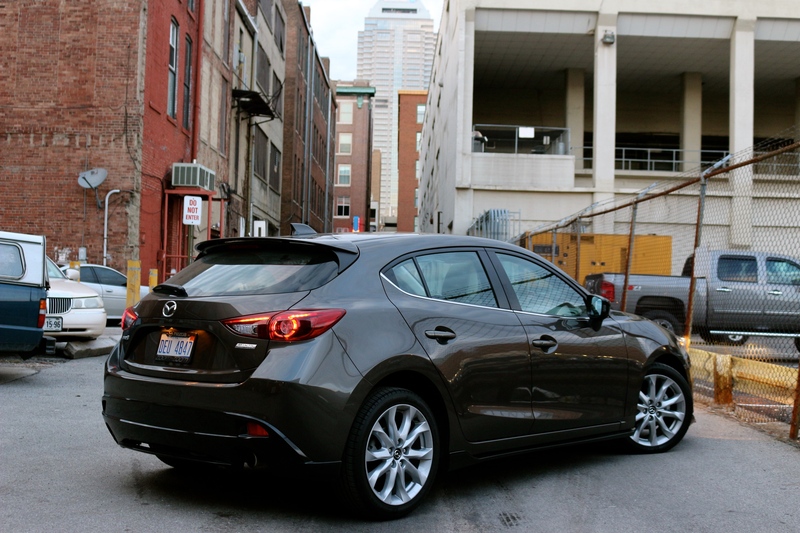 The Mazda 3 delivered 26.6 mpg over a 481 mile city stint, which is better than the 26 mpg city advertised by Mazda. Certainly no complains there. To me, safety starts with lighting, and the Mazda 3’s optional Xenon headlights certainly do a good job illuminating the road ahead of you. Systems like back-up camera with cross-traffic alert, and blind-spot monitoring, work overtime to keep you and your loved ones safe. 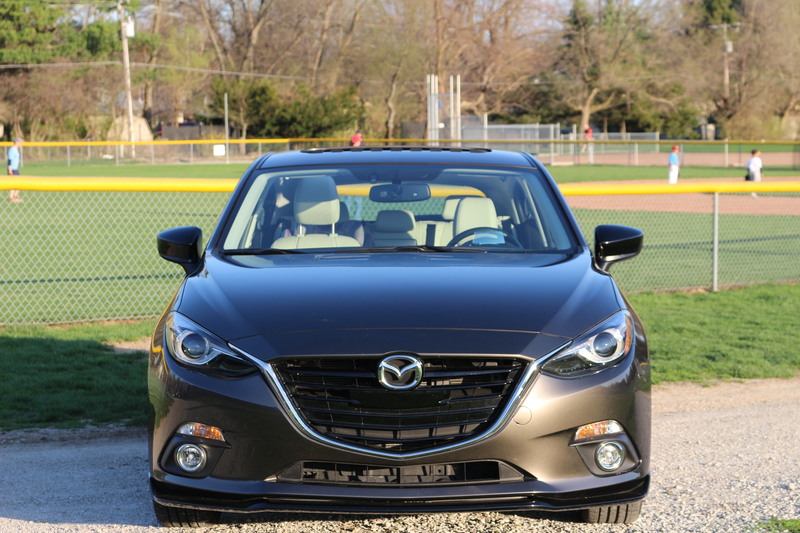 Should an accident be imminent, you’ll have peace of mind knowing the 2015 Mazda 3 achieved a 5-star rating in government crash tests, as well as a Top Safety Pick by the Insurance Institute for Highway Safety (IIHS). Features like Smart Cruise Control, Smart City Brake, and a Heads-Up Display (HUD) help you have a safer and more comfortable road-tripping experience, and are available as options. 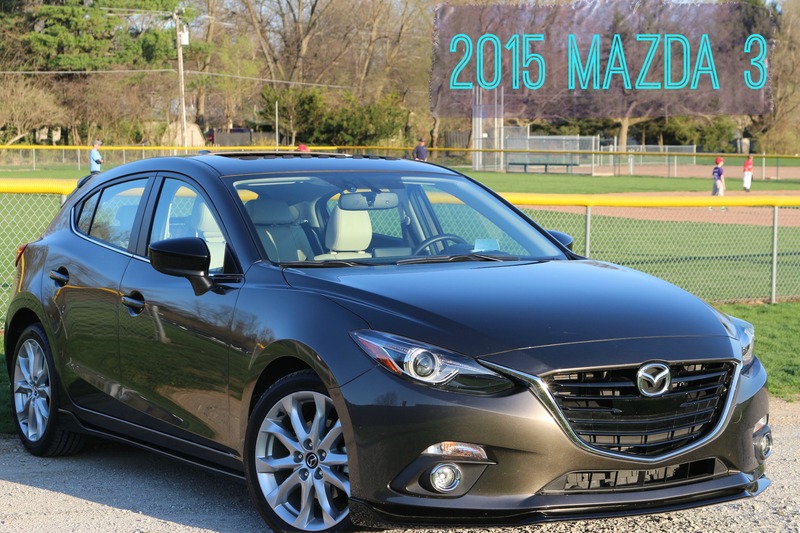 During our time with the Mazda 3, we had to do a photoshoot for a 2015 BMW 428i. And as Missi was driving the BMW, she said: You know, I really love the way the Mazda feels, even more than this BMW. Obviously I looked at her in disbelief, as the 428i had every interior amenity offered. 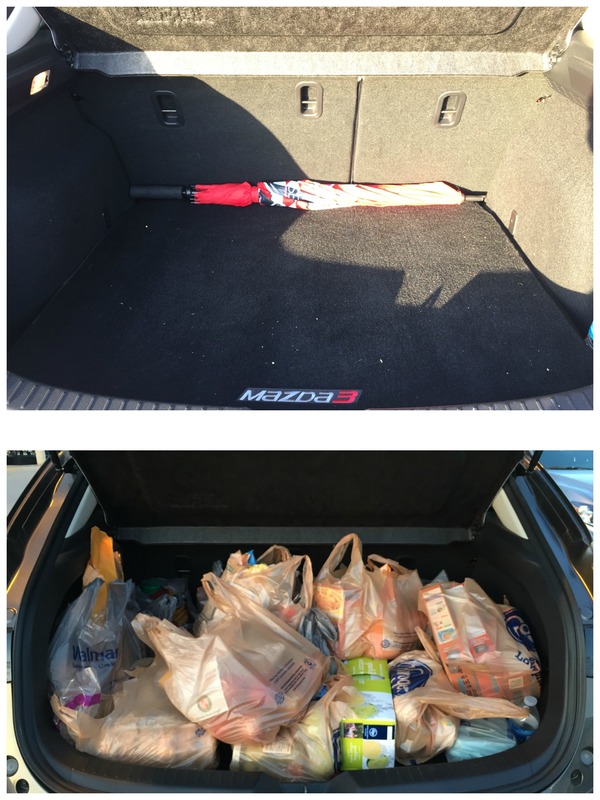 She went on to say that she couldn’t describe the reason why, but the Mazda just fit her right. So that’s how we got the inspiration to share this. 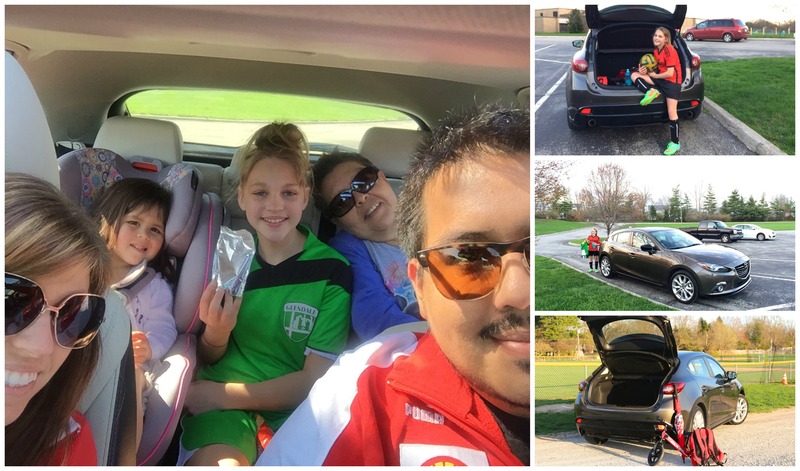 The Mazda 3 is one of those cars that can grow with you, as a college kid heading out to the real world, as a first time parent, as a grandkid-spoiling grandparent, etc. This is the car that could be sold on TV, and all they’d have to do, is show us all the things it can do well. Pricing. At over $28,000 for a loaded model, it’s impossible to overlook the iconic VW Golf GTI. Great review! I love multipurpose products, too. I love the design of this car it looks like a luxury car! SO pretty!